The Veritas recently caught up with Rockland High School alumna Julia Rayberg from the Class of 2011. She has a bright future ahead of herself as she expands the non-profit organization that she created, Worthy Village, and works to make its impact more global. Rayberg was recently here at RHS to collect hygiene products for women and children in Guatemala supplied by our student body through a fundraiser started by Spanish teacher, Melissa Shaughnessy. Through that visit we were able to conduct an interview with her. First, we wanted to see just how in touch with her Bulldog roots Rayberg still is. She explained, “We’ve been through a lot of good times and bad, but we always hold that level of pride and commitment to each other.” To her, when you’re a member of Bulldog Nation you are never a lone pup, but always a member of the dog pack. Despite greatly missing her time at RHS she is very satisfied with where she finds herself now. Rayberg recently graduated from UMass Dartmouth in December, 2015 with a Bachelor of Science Degree in Business. However, in 2014 she founded a 501c3 non profit organization called Worthy Village. 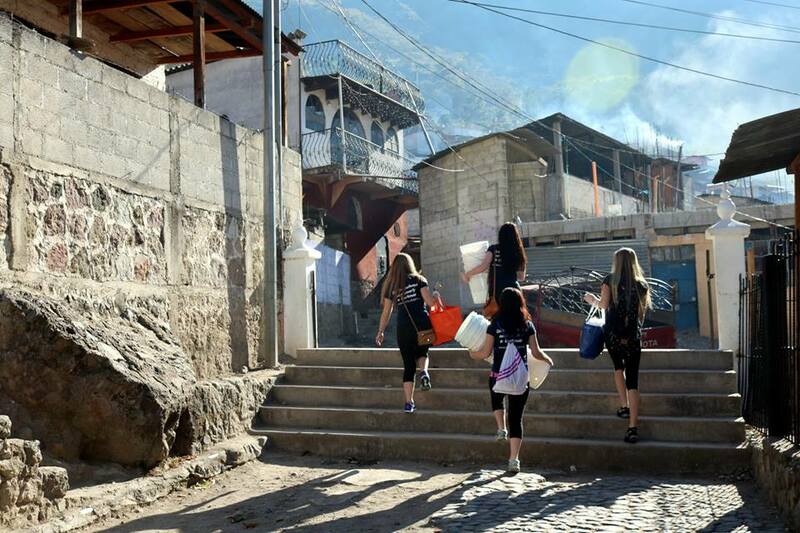 Rayberg said she spends, on average, about five months out of the year in Guatemala on Lake Atitlan working towards reaching her long term mission. 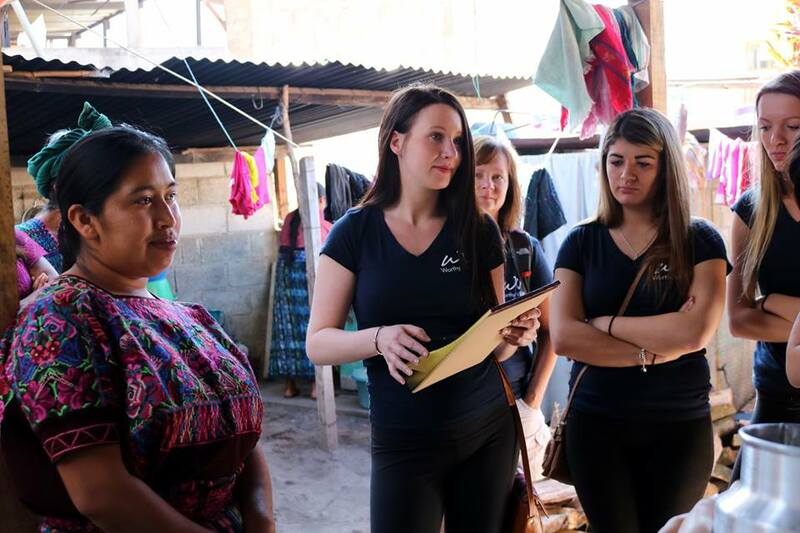 She explained the type of rewarding feelings doing a service such as this for women and children in Guatemala brings to her. You can keep up to date with what her organization is doing by checking the organization’s website at http://www.worthyvillage.org. When it comes to long term goals and aspirations Rayberg’s fall under two categories: goals for herself and goals for her non-profit organization. Rayberg has worked incredibly long and hard to build her organization and she seems to have a map of long term plans for 5 or 10 years down the road for Worthy Village. “We’re expanding the organization into Cuba in 2017, and we hope to expand into more impoverished countries after that,” she explained. Rayberg’s humanitarian goals are commendable, and when she came to RHS to speak, she shared her mission with Mrs. Shaughnessy’s students. In her talk it was evident that she is a visionary who is unselfish and always thinking about ways to be active and to do something to better the world. Penultimately, Rayberg’s advice for the Class of 2016 is to take every moment and treasure it. She says that the high school experience is a once in a lifetime opportunity. She also said that a work ethic is truly important to what you will achieve in your future. In other words we should always be the best we can be and not settle for mediocrity. Rayberg also believes that how you manage your time in college is critical to any future success you will experience. In summary, Rayberg wants the Class of 2016 to be happy and excited as they chase their dreams. We at the Veritas wish her all the best as she continues to make a change in the world with her non-profit organization, Worthy Village.